HEAD STRAIGHT, shoulders back, don’t wiggle your arms, take long steps, go with the beat (if you can). 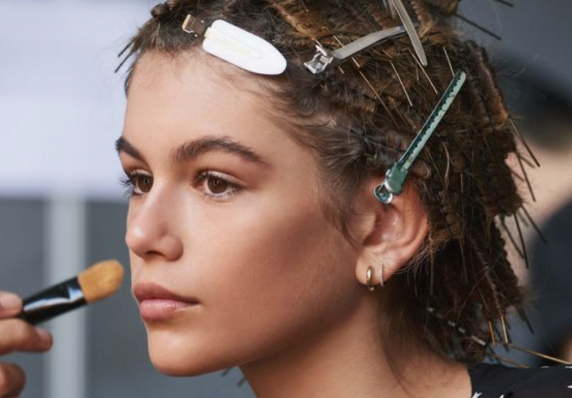 The condensed version of Kaia Gerber’s top runway tips straight to you from vogue. Because we know you don’t all have Cindy Crawford as your Mum offering up her best runway advice, we thought we’d step in and bring it to you – just think of us as your very own fashion family. We’ve had a chat with four of our Aussie model friends, who have clocked up countless miles on the runway, so, keep reading for their best advice and favourite runway hacks and steal the secrets to finding your inner supermodel before and during the show. – A Mani and Pedi are essential the night before the show; Hair, skin and nails all need to look clean and healthy! – Create time for some exercise the night before a show so you are feeling fit and healthy and another routine tip is to eat a protein and veggie rich dinner, keeping carbs and salt to a minimum so you don’t have any unexpected bloating on the day of the show. – If you’re a coffee fiend, make one before you go and put it in a thermos or keep cup – never rely on clients to feed and caffeinate you! Even if they supply food, your hunger might kick in before your lunch break – better to feed yourself than be a ‘hangry’ model! – Remember to wear something easy to get out of. If your hair stylist has just given you a beautiful style and you’re wearing a tight sweater, you can bet you’re going to be in the bad books. Wear something that zips or buttons and be sure not to wear anything too tight – seam marks from tight jeans are not a good look! – Bring high energy and confidence to the runway! Best. Foot. Forward. Every time. – Listen to the people in charge. They are there to make sure everything runs smoothly, don’t get caught up chatting and miss your cue. Keep your focus. – Above all, have fun! Modelling is an amazing opportunity to work with creative people in an interesting environment and it can be a short-lived career. Take time to appreciate every job – even the horrendous ones will teach you something (or at least give you a good story). – Be Confident! No matter how uncomfortable the shoes are, or how long the dress is making it difficult to walk, always look and walk with confidence and never let the audience see the discomfort or worry in your face. #Game Face On! – Try on your outfits before the show and work with your dresser so you both know how everything needs to work. – Look up and move your body effortlessly. Put a bit of bounce into your step, relax and smile… with your eyes. – Keep your shoulders back; walk from your hips, and to keep your fingers neutral imagine that water is dripping off them. Swing your arms behind your legs – sounds crazy but watch a show and you’ll see. – Always try to get into the rhythm of the show and find the beat. – When it comes to your facial expressions try to emulate the mood of the clothing and music and enjoy the performance and remember to focus your gaze just above the audience. – In an attempt to avoid runway road kill, make sure that your shoes, clothing and accessories are all firmly attached to your body in the way they are supposed to be before stepping on the runway. If you do fall, stand up, stand tall and keep going! – Maintain laser focus. 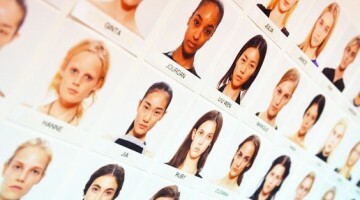 And while runway is a show, don’t forget about the photos. Keep your game face on until you are out of sight. – Read the vibe of the show. Some clients want sweetness and light, while others want femme fatale killers on their catwalk – whatever the energy, commit to it! – CONFIDENCE REIGNS SUPREME. Nothing breaks the spell of a mesmerising runway like a model that feels awkward.